Journey along the Bay Coast with stunning cliff views, an island adventure and a fearsome pirate encounter. 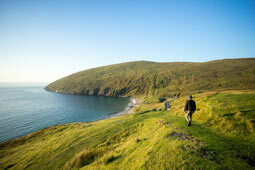 With only the sheep for company, take a walk to the edge of the world along the Erris Head Loop. Your reward? Views that change like the weather, the sight of Illandavuck island at the head, and history moulded into the land, with the World War II marine and coastguard service look out post still intact. Keep your eyes out for the large stone markings of ÉIRE – one of many coastal navigational aids placed during World War II to help pilots identify this land as Ireland. Settle down for some "blether and blarney" – also known as music and dance – at McDonnell's pub in Belmullet. 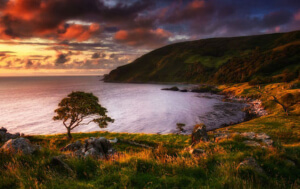 Such is the beauty of this remote stretch of land, when the German writer, Heinrich Böll, came to Achill Island in the 1950s, it’s said he felt like he was "playing truant from Europe." Reached by a road bridge, indulge in a stroll along any of Achill's five long, sandy beaches, including the blissful Keem Strand. 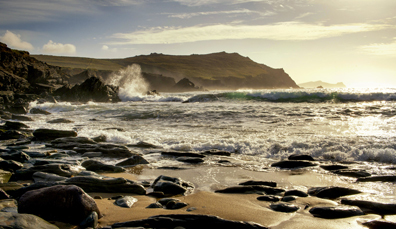 The beautiful blue waters here have been known to make people step out of their comfort zone, so head to the folks at Achill Surf Adventure for a kayaking tour of the Blueway – a network of water trails that weave beneath Achill's towering sea cliffs. Have cake and coffee, then browse the crafts in the adorable Beehive Café on Achill. 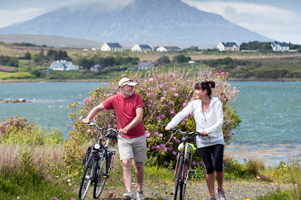 Fancy taking to two wheels, then get to know the Great Western Greenway – Ireland's longest off-road cycling and walking trail? This traffic-free pathway is packed with some of Ireland’s best scenery and follows the route of the renowned Westport to Achill railway, which closed in 1937. Hire some bikes in Achill, Mulranny, Newport or Westport and be on your way as quickly or as leisurely as you like! 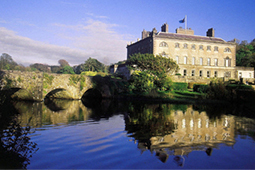 Westport House looks like the home of a grand old dame, but don’t be fooled: the owners of the Estate are descended from fearsome pirate queen Grace O’Malley. 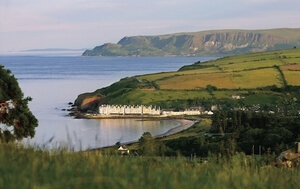 Tour the grounds and discover more about the life of the “the original Wild Atlantic Woman”. Legend has it she cut off her hair and pretended to be a boy before sneaking on to her father’s ship as he set sail. He didn't recognise her. When confronted by an enemy, she simply pulled out a sword and killed him, and so began her infamous career. For a real treat, don't miss the Hawk Walk – stroll through the beautiful woodlands surrounding the house in the company of a bird of prey. The moment when one of these magnificent creatures lands on your gloved hand is genuinely thrilling. Dine out on Clew Bay lobster, prepared by the careful hands of Frankie Mallon at An Port Mór restaurant in Westport. A bay with an island for every day of the year, views from atop a holy mountain, and a taste of the traditional. Enjoy. 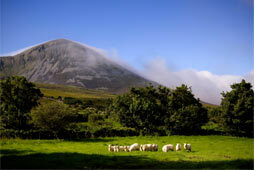 Not the sole reserve of pilgrims on Reek Sunday – the last Sunday in July – Croagh Patrick is a stunning, yet tough climb, any day of the year. But, boy, its scree-covered scramble to the top comes with rich rewards. From 764m (2500 feet) above sea level, look out to Clew Bay, a bright blue vista studded with, they say, 365 islands – one for every day of the year. Those not up to the climb, head to the National Famine Monument in Murrisk – a symbolic coffin ship with skeleton bodies commemorating the Great Famine that ravaged this part of Ireland. 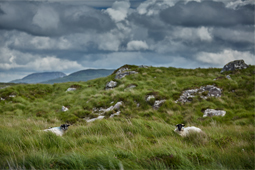 Sheep shearing, turf cutting, shepherding your flock! Experience it all at Glen Keen Farm. 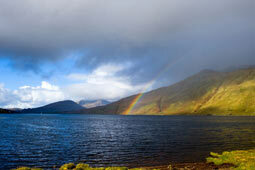 Framed by mountains that vary in colour depending on where the sun hits, Killary Fjord is a spectacular glacial fjord that forms a natural border between counties Mayo and Galway. 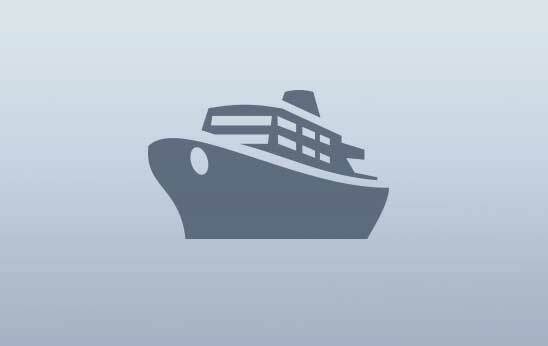 Take a cruise and you might just spot dolphins swimming in the inky waters. Not enough natural wonder for you? Then head to Aesleagh Falls in summer to see gravity-defying salmon leap upstream! Visit Omey Strand in July when the beach horse racing takes place. It's a fun-filled day out, but beware the tide – it is said that Omey "eats cars"! 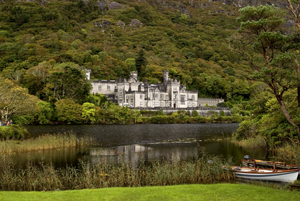 Before Hollywood glistened in anyone's eye, Kylemore Abbey in Connemara set the scene for one of the greatest love stories of all time. 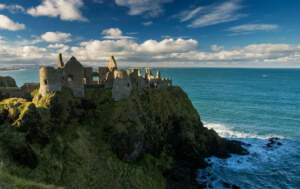 A visit here charts the tale of Henry and his beloved wife Margaret, who fell in love with this picturesque spot. Their castle rose beside the lake, gardens blossomed and for almost 10 years, Mitchell, Margaret and their nine children lived here, in what sounds like a state of bliss.. But tragedy struck when Margaret fell ill and died. The Neo-Gothic church is Henry's final tribute to his dear wife. The National Park serves up a number of breathtaking walks, including the modest Diamond Hill Loop, which suits most fitness levels. The views afforded for the effort are nothing short of spectacular. 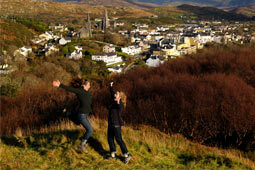 Rest awhile in the beating heart of Connemara's capital, Clifden, which was once a media hotspot when the inventor of radio, Guglielmo Marconi, built a transatlantic wireless telegraphy station just outside the town. 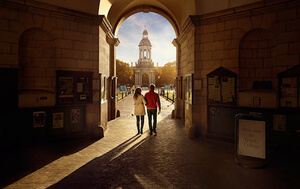 Once you've soaked up its history, browsed the art galleries and taken in the sunset views from Clifden's Sky Road, book a table at Mitchell's Restaurant in the centre of town for mouthwatering Connemara lamb or a bowl of tasty seafood chowder. Delicious! 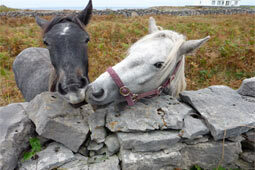 Since 1924, the annual Connemara Pony Festival (August) has been showcasing the best of this native breed, and it’s a wonderful opportunity to get up close to over 400 ponies. 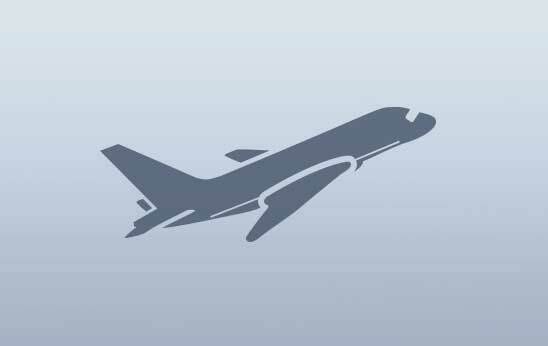 Discover aviation history, a link to the Caribbean and home of the “Man of Aran”. Shimmering lakes, miles of bogland and ancient stone walls that defy gravity are classic Connemara – and Derrigimlagh is no exception. An easy cycle along bog roads, if you're so inclined, highlights include the unintended landing spot for transatlantic pilots, Alcock and Brown, when they crashed (safely) here in 1919. And another, far less celebrated spot: the ruins of an 18th century inn, called the Halfway House. Legend has it that those unfortunates who frequented this hostelry met a grisly end, for the inhabitants would murder them at midnight. Stretch your legs on Mannin Bay: on close inspection, the "sand" is made up of finely ground shells that twinkle pink and yellow in the sun. At picturesque Roundstone, turn your hand to making tunes at Roundstone Music and Crafts, where Malachy, one of the only dedicated, full-time bodhrán (Irish drum) makers in the world, will reveal all about this indigenous instrument. Fancy a fish lunch? 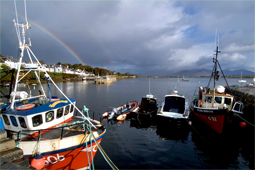 Well, in Roundstone you can catch it yourself, with angling trips taking you out around the nearby islands. Don't fancy eating DIY? 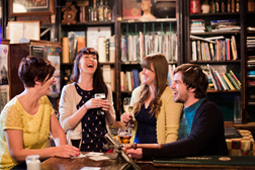 Then tuck into some deliciously prepared shellfish at Pub of the Year, O'Dowd's, instead. 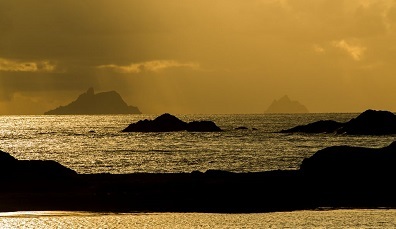 Nearby, there are two beautiful golden sand bays: take a dip or simply stroll along Gurteen or Dog's Bay. Celebrate more than just shellfish at the Galway International Oyster & Seafood Festival (September). 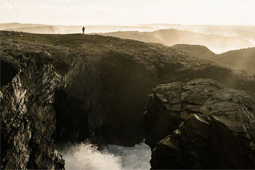 The choice is yours at Rossaveal, with three Aran Islands – Inishmore, Inisheer and Inishmaan – beckoning you to take a ferry trip back in time. 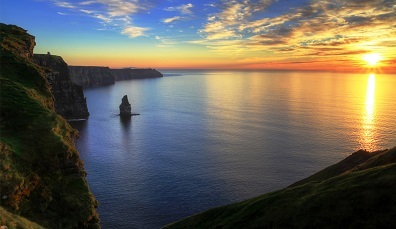 Head to Inishmore where Dún Aonghasa, an ancient stone fort, clings to the cliffs high above the crashing Atlantic waves; Inishmaan, the often overlooked middle island with its cosy B&Bs and age-old traditions; and Inisheer, renowned for its upbeat traditional music sessions!